Butch Baldassari has released two popular collections of bluegrass mandolin tunes, What's Doin' and Old Town. He also played extensively with the group Weary Hearts. 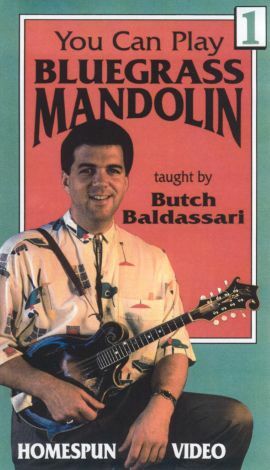 On this first video of a two-tape set, Baldassari concentrates on teaching students basic skills, including how to hold and tune the mandolin. He also spends a significant amount of time demonstrating basic chords and explaining the scales. Using several of his own tunes and those of others, Baldassari breaks down their elements so he can teach students how to play basic melodies. He also provides helpful tips for mastering double-stop and open-string techniques.